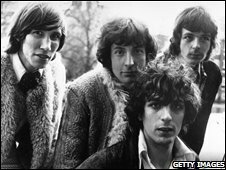 Wright appeared on the group's first album, The Piper at the Gates of Dawn, in 1967 alongside lead guitarist Syd Barrett, Roger Waters and Nick Mason. Gilmour said: "No-one can replace Richard Wright - he was my musical partner and my friend." Writing on his website, he added: "In the welter of arguments about who or what was Pink Floyd, Rick's enormous input was frequently forgotten." 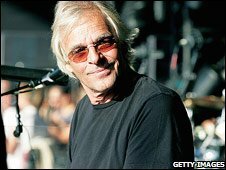 Wright's spokesman said in a statement: "The family of Richard Wright, founder member of Pink Floyd, announce with great sadness that Richard died today after a short struggle with cancer. Waters left the band in 1981, performing his last concert at London's Earls Court. In 2005, the full band reunited - for the first time in 24 years - for the Live 8 concert in London's Hyde Park. Wright also contributed vocals and keyboards to Gilmour's 2006 solo album On An Island, while performing with his touring band in shows in Europe and the US.